Southeast Asian cuisine takes on influences from Chinese and Indian cuisines. Many dishes, for instance, incorporate all of the basic flavor profiles (sweet, sour, salty, bitter and umami/savory) in any single bite, and include highly aromatic herbs and spices. Ingredients and characteristics will vary by the region. 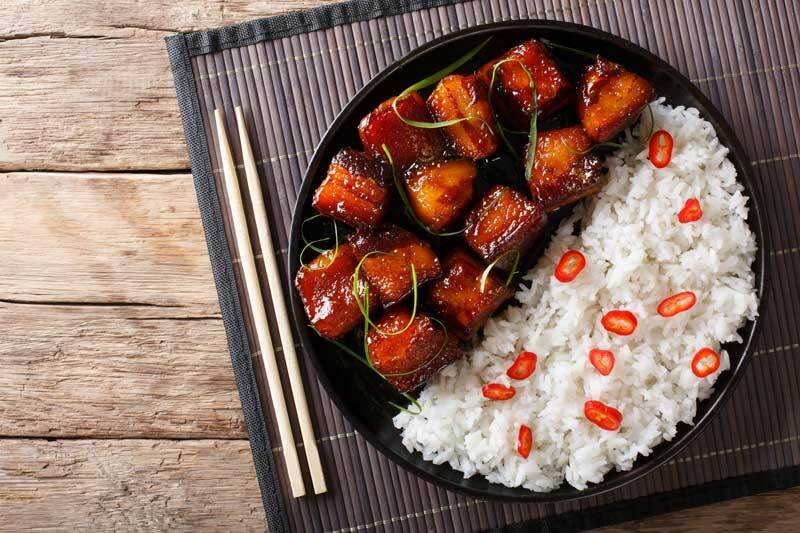 However, many meals are meant to be shared family-style, with rice, pork and citrusy flavors at the forefront, and making use of fish sauce in place of soy sauce. Mohinga (Fish and Rice Noodl..
Fried Sesame Mung Bean Donut..
Fried Fish with Lemongrass (..
Garlic and Pepper Chicken (G..
Panang Curry Paste (Nam Phri..
Mee Krob (Crispy Thai Rice N..
Thai Massaman Chicken Curry ..
Thai Green Curry Paste (Gaen..
Massaman Curry Paste (Nam Ph..